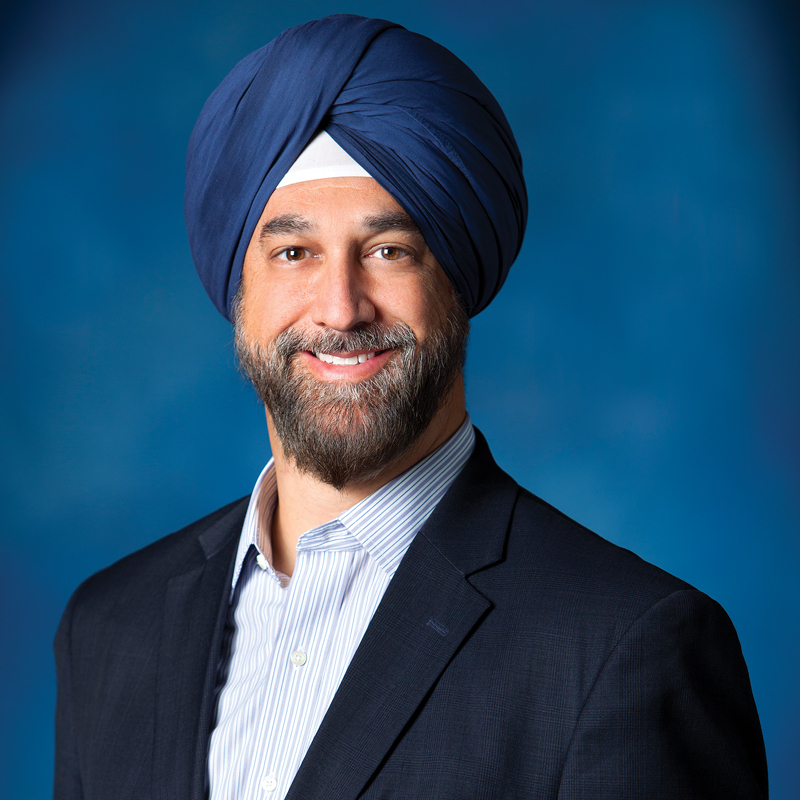 ❊ Jit Singh, MSIA ’99, is a principal in Deloitte Consulting’s Pricing Strategy practice. He works across multiple industries and sectors to help companies develop leading-edge pricing strategies and analytics as well as transform how they go to market. He has had the opportunity to work with global companies to help them navigate rapidly changing customer expectations. Jit lives in Washington,D.C., with his wife Lisa Swoboda, MSIA ’99, and their two kids. Lilly MacEachern, MBA ’09, is a vice president with J.P. Morgan. In her role, she is responsible for effectively managing the firm’s capital and driving large-scale initiatives pertaining to stress testing. She serves in a leadership capacity for the firm’s business resource groups and also enjoys being a mentor with a number of organizations, including Sponsors for Educational Opportunity and the Forté Foundation. Outside of work, she greatly enjoys traveling, running and cooking. ❊ Russ Ewing, MSIA ’96, is a vice president and portfolio manager with Goldman Sachs Asset Management within the firm’s Global Portfolio Solutions Group. Based in New York, his team focuses on the development and management of multi-asset class portfolios for a broad range of institutional clients, including corporate and health care pension plan sponsors, sovereign wealth funds, and endowments and foundations. ❊ Justin Kaufman, MBA ’04, is a partner with PwC and the advisory market leader for the Lake Erie Region, covering Pittsburgh, Cleveland, Buffalo and Rochester. Justin and his teams continue to lead and partner with clients that have a new organizational driver or catalyst such as a new business strategy, technology transformation or post-merger integration. He sits on the leadership market council for the region and is a leader in the digital strategy space. Justin is also a board member at the Pittsburgh Zoo & PPG Aquarium and was named to Pittsburgh Magazine’s 40 under 40 this past year. Cognizant Technology Solutions Corporation announced that Rajeev “Raj” Mehta, MSIA ’92, has been appointed president of the company. “Raj is a proven leader with strong client relationships forged over 20 years with the company,” said ❊ Francisco D’Souza, MSIA ’92, Cognizant’s CEO. “For the past decade, Raj has been responsible for leading our market-facing teams in delivering industry-leading growth. He has a deep understanding of new technologies and new delivery models, and their potential to fundamentally transform businesses.” As CEO of IT Services at Cognizant, Raj was responsible for market-facing activities across the company as well as for delivery across its IT Services business. His prior roles at Cognizant include group chief executive, Industries & Markets, where he was responsible for leading its industry vertical and geographical market operations on a global basis, and chief operating officer, Global Client Services, where he was responsible for sales, business development and client relationship management organizations. SoFi, a modern finance company taking an unprecedented approach to lending and wealth management, appointed ❊ Ashish Jain, BSBA ’03, as senior vice president of Capital Solutions. He is a member of SoFi’s management team and reports to the firm’s president and CFO. In his new role, Jain is responsible for securitization, distribution, loan sales, strategic partnerships and efforts to expand SoFi’s institutional outreach. Prior to SoFi, Jain worked at Deutsche Bank for 13 years. Most recently, he was managing director and U.S. head of structured finance sales, a role he held for four years and in which he interacted with some of the world’s largest institutional investors. He began his career at Deutsche Bank in rates sales. Ashish has served on the Tepper School Alumni Board since 2010 and has been an active member of the Carnegie Mellon community. The Board of Directors of Banco Santander in Madrid, Spain, has named Homaira Akbari, MSIA ’96, as an independent member of the board. The bank will now have six women on the board, or 40 percent of its members — a representation among the highest in international banking. Akbari earned a Ph.D. in particle physics from Tufts University and holds an MBA from the Tepper School. She has had an extensive corporate career in France and the United States. Akbari is the CEO of global advisory firm AKnowledge Partners, which specializes in the internet of things, security, big data and analytics. She is a board member at several technology companies as well as the French service and utility company Veolia Environment. Kalpesh Kapadia introduces new credit card for foreign students in the U.S.
❊ Kalpesh Kapadia, MSIA ’99, who is the CEO of SelfScore, launched the first dedicated MasterCard credit card designed for international college students in the United States. The company determines creditworthiness using alternative data (not credit history) comprised of the borrower’s education, source of funding and career prospects. Kalpesh said, “International students are granted access to the U.S. educational system. However, they’re not offered a clear on-ramp to financial success. Providing that on-ramp is our intention.” Kalpesh, a former international student who created a career for himself in the U.S., started SelfScore with the intent of supporting this “deserving, yet underserved” population. NTT Innovation Institute Inc. (NTT i3), the prestigious Silicon Valley-based innovation center for NTT Group, one of the world’s largest ICT companies, announced the appointment of ❊ Cindy Padnos, MSIA ’80, to its inaugural Executive Advisory Board comprising esteemed global technology experts and business leaders from various industries. The Executive Advisory Board’s goal is to exchange ideas on key insights and industry trends. Padnos is the founder and managing partner of Illuminate Ventures. She focuses primarily in the Enterprise/B2B cloud and mobile computing sectors, with a particular emphasis on SaaS applications and platforms, solutions leveraging big data for business impact, and new business models that accelerate customer acquisition. She is an investor and board member for Bedrock Analytics, BrightEdge Technologies, ChannelEyes, Hoopla Software, Litbit, Peerlyst, Xactly Corporation and Yozio, and is a member of the Board of Advisors of the Tepper School of Business. ❊ Rob Rice, MSIA ’00, has been named controller of ExxonMobil Exploration Company. In this role, he will oversee the global financial operations, reporting and controls for ExxonMobil’s exploration activities. Rice’s objectives will be focused on operations excellence, sustaining a high-performing organization and building new, superior oil and gas opportunities. Exploration focuses on increasing the quality of ExxonMobil’s resource base through successful “by-the-bit” drilling and capture of discovered undeveloped resources. Rice joined ExxonMobil directly after graduating from Carnegie Mellon and held various roles of increasing responsibility during his 16-year tenure. He is the ExxonMobil Executive Liaison to the Tepper School and vice president of the Tepper School Alumni Board. Rice and his wife, Diane, live in The Woodlands, Texas, with their son, Jake. Looking for a great way to help your alma mater? Get involved with our MBA recruiting by referring top talent to the program. Pass this page to a friend and when they enter the code RAFAM2017 at the website below, the $200 application fee will be waived.